This plugin has been designed for the SubServers Minecraft Server Management Platform. You can learn more about the server manager on the home page. 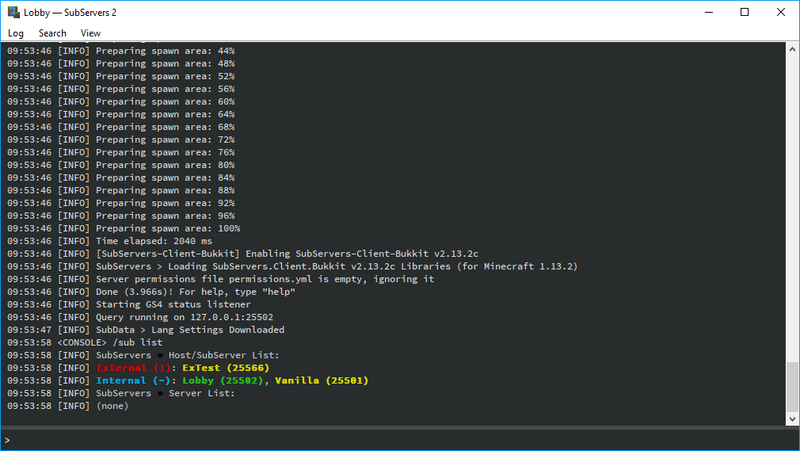 SubServers.Console is a plugin that lets you popout the console output of subcreator and subservers into their own console windows. This can be useful if you have a lot of servers logging at once. Reviews are not the place to report bugs or ask for help. Please use the GitHub Issue Tracker, our Discord Server, or the Discussion Section. Lazo, Jonah_Ferguson and Aoro like this.